Commonly seen above kitchen islands and bedside tables, pendant lighting can generally be found in sets of twos or threes. Browse our large selection and find contemporary, classic, and industrial inspired lighting designed in a range of sizes to fit any space. Whether you're looking for a dramatic piece to take center stage, or a classic fixture to add an air of elegance, our variety of pendant lighting options are tailored to fit your personal style. Regina Andrew Lighting Regatta PendantRegina Andrew combines vintage accents, contemporary details and natural elements to create a truly unique collection of lighting and home furnishings. Regina Andrew Lighting Cally Ceramic Pendant LargeRegina Andrew combines vintage accents, contemporary details and natural elements to create a truly unique collection of lighting and home furnishings. Regina Andrew Lighting Cally Ceramic Pendant SmallRegina Andrew combines vintage accents, contemporary details and natural elements to create a truly unique collection of lighting and home furnishings. Regina Andrew Lighting Hope Pendant LargeRegina Andrew combines vintage accents, contemporary details and natural elements to create a truly unique collection of lighting and home furnishings. Regina Andrew Lighting Hope Pendant SmallRegina Andrew combines vintage accents, contemporary details and natural elements to create a truly unique collection of lighting and home furnishings. Regina Andrew Lighting Charlotte PendantRegina Andrew combines vintage accents, contemporary details and natural elements to create a truly unique collection of lighting and home furnishings. Regina Andrew Lighting Adeline PendantRegina Andrew combines vintage accents, contemporary details and natural elements to create a truly unique collection of lighting and home furnishings. Regina Andrew Lighting Cheshire Basin Pendant - Oil Rubbed BronzeRegina Andrew combines vintage accents, contemporary details and natural elements to create a truly unique collection of lighting and home furnishings. Regina Andrew Lighting Cheshire Basin Pendant - Gold LeafRegina Andrew combines vintage accents, contemporary details and natural elements to create a truly unique collection of lighting and home furnishings. Regina Andrew Lighting Dalilah PendantRegina Andrew combines vintage accents, contemporary details and natural elements to create a truly unique collection of lighting and home furnishings. Regina Andrew Lighting Malibu Drum Pendant - Weathered WhiteRegina Andrew combines vintage accents, contemporary details and natural elements to create a truly unique collection of lighting and home furnishings. Regina Andrew Lighting Malibu Drum Pendant - Weathered PinkRegina Andrew combines vintage accents, contemporary details and natural elements to create a truly unique collection of lighting and home furnishings. Regina Andrew Lighting Malibu Drum Pendant - Weathered BlueRegina Andrew combines vintage accents, contemporary details and natural elements to create a truly unique collection of lighting and home furnishings. Regina Andrew Lighting Laguna PendantRegina Andrew combines vintage accents, contemporary details and natural elements to create a truly unique collection of lighting and home furnishings. Regina Andrew Lighting Rupert Pendant - Worn SteelRegina Andrew combines vintage accents, contemporary details and natural elements to create a truly unique collection of lighting and home furnishings. Regina Andrew Lighting Rupert Pendant - Polished NickelRegina Andrew combines vintage accents, contemporary details and natural elements to create a truly unique collection of lighting and home furnishings. Regina Andrew Lighting Otis Pendant Small - Blackened and Natural BrassRegina Andrew combines vintage accents, contemporary details and natural elements to create a truly unique collection of lighting and home furnishings. Regina Andrew Lighting Nomad Pendant Small - IndigoRegina Andrew combines vintage accents, contemporary details and natural elements to create a truly unique collection of lighting and home furnishings. Regina Andrew Lighting Sigmund Pendant Large - White and GoldRegina Andrew combines vintage accents, contemporary details and natural elements to create a truly unique collection of lighting and home furnishings. Regina Andrew Lighting Sigmund Pendant Small - White and GoldRegina Andrew combines vintage accents, contemporary details and natural elements to create a truly unique collection of lighting and home furnishings. Regina Andrew Lighting Pierced Metal Sphere Pendant - Natural BrassRegina Andrew combines vintage accents, contemporary details and natural elements to create a truly unique collection of lighting and home furnishings. Arteriors Lighting Kaitlyn PendantArteriors award-winning line of lighting and home decor combines timeless details with contemporary style to create truly original statement pieces perfect for the traditional, transitional or modern home. The geometric chrysalis-like silhouette of Kaitlyn combines nature with industrialism. Made of fossil-gray finished concrete with antique brass mounting. Additional pipe available (PIPE-101). Arteriors Lighting Jed PendantArteriors award-winning line of lighting and home decor combines timeless details with contemporary style to create truly original statement pieces perfect for the traditional, transitional or modern home. The Jed Pendant's stained ivory crackle porcelain shade combines with a short, antique brass pipe to yield a modern, subtle and elegant design. Jed makes its case for the perfect kitchen pendant. Additional pipe available (PIPE-101). Regina Andrew Lighting Clove Pendant Large - Antique Gold LeafRegina Andrew combines vintage accents, contemporary details and natural elements to create a truly unique collection of lighting and home furnishings. 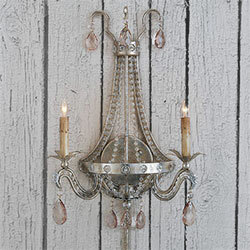 Regina Andrew Lighting Clive Pendant - Polished NickelRegina Andrew combines vintage accents, contemporary details and natural elements to create a truly unique collection of lighting and home furnishings. Regina Andrew Lighting Clive Pendant - Oil Rubbed BronzeRegina Andrew combines vintage accents, contemporary details and natural elements to create a truly unique collection of lighting and home furnishings. Regina Andrew Lighting Clive Pendant - Natural BrassRegina Andrew combines vintage accents, contemporary details and natural elements to create a truly unique collection of lighting and home furnishings. Regina Andrew Lighting Fillmore Pendant - Polished NickelRegina Andrew combines vintage accents, contemporary details and natural elements to create a truly unique collection of lighting and home furnishings. Regina Andrew Lighting Fillmore Pendant - Oil Rubbed BronzeRegina Andrew combines vintage accents, contemporary details and natural elements to create a truly unique collection of lighting and home furnishings. 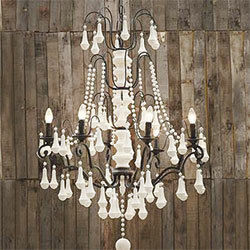 Regina Andrew Lighting Fillmore Pendant - Natural BrassRegina Andrew combines vintage accents, contemporary details and natural elements to create a truly unique collection of lighting and home furnishings. Regina Andrew Lighting Hudson Pendant - Polished NickelRegina Andrew combines vintage accents, contemporary details and natural elements to create a truly unique collection of lighting and home furnishings. Regina Andrew Lighting Hudson Pendant - Oil Rubbed BronzeRegina Andrew combines vintage accents, contemporary details and natural elements to create a truly unique collection of lighting and home furnishings. Regina Andrew Lighting Hudson Pendant - Natural BrassRegina Andrew combines vintage accents, contemporary details and natural elements to create a truly unique collection of lighting and home furnishings. Regina Andrew Lighting Otis Pendant Large - Polished NickelRegina Andrew combines vintage accents, contemporary details and natural elements to create a truly unique collection of lighting and home furnishings. Regina Andrew Lighting Otis Pendant Large - Blackened Brass & Natural BrassRegina Andrew combines vintage accents, contemporary details and natural elements to create a truly unique collection of lighting and home furnishings. Regina Andrew Lighting Otis Pendant Medium - Polished NickelRegina Andrew combines vintage accents, contemporary details and natural elements to create a truly unique collection of lighting and home furnishings. Regina Andrew Lighting Otis Pendant Medium - Blackened Brass & Natural BrassRegina Andrew combines vintage accents, contemporary details and natural elements to create a truly unique collection of lighting and home furnishings. Regina Andrew Lighting Globe Pendant - Natural BrassRegina Andrew combines vintage accents, contemporary details and natural elements to create a truly unique collection of lighting and home furnishings. 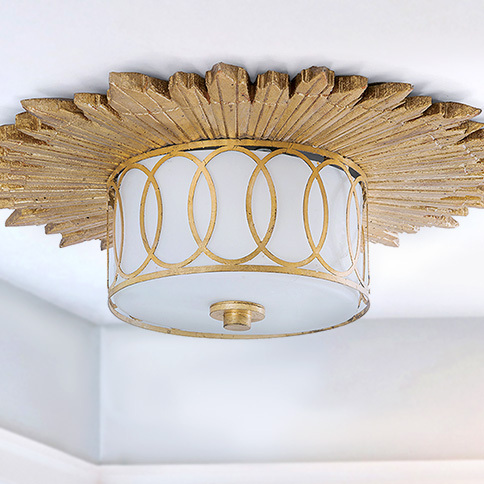 Aidan Gray Home Lighting Chan Geo Hammered Circle - NickleAidan Gray lighting is hand-crafted and created to give each light fixture the one-of-a-kind look of a true vintage find. With inspiration from European style and French flea market treasures, Aidan Gray lighting is truly an updated classic with distinct design details, aged finishes and time worn elegance. Aidan Gray Home Lighting Orb Fanning Pendant In Mirrored NickelAidan Gray lighting is hand-crafted and created to give each light fixture the one-of-a-kind look of a true vintage find. With inspiration from European style and French flea market treasures, Aidan Gray lighting is truly an updated classic with distinct design details, aged finishes and time worn elegance. Aidan Gray Home Lighting Orb Fanning Pendant In Antique BrassAidan Gray lighting is hand-crafted and created to give each light fixture the one-of-a-kind look of a true vintage find. With inspiration from European style and French flea market treasures, Aidan Gray lighting is truly an updated classic with distinct design details, aged finishes and time worn elegance. Regina Andrew Lighting Demi John Pendant LargeRegina Andrew combines vintage accents, contemporary details and natural elements to create a truly unique collection of lighting and home furnishings. Beautiful in its minimalism, Regina Andrew Lighting Demi John Pendant Large features a clear glass dome with gold and black trimmings and held up by a thick and sturdy rope, exuding gorgeous lighting. Regina Andrew Lighting Bianca Ceramic Pendant - Gloss White & GoldRegina Andrew combines vintage accents, contemporary details and natural elements to create a truly unique collection of lighting and home furnishings. Beautiful in its minimalism, Regina Andrew Lighting Bianca Ceramic Pendant - Gloss White & Gold features a white ceramic dome with gold trimmings and held up by a thick and sturdy rope , exuding gorgeous lighting. Aidan Gray Home Lighting Two Toned Geo PendantAidan Gray lighting is hand-crafted and created to give each light fixture the one-of-a-kind look of a true vintage find. With inspiration from European style and French flea market treasures, Aidan Gray lighting is truly an updated classic with distinct design details, aged finishes and time worn elegance. Arteriors Lighting Hancock PendantArteriors award-winning line of lighting and home decor combines timeless details with contemporary style to create truly original statement pieces perfect for the traditional, transitional or modern home. Dark Matter comes to life with this frosted smoke glass pendant. Shade is highlighted by contrasting ridged and divoted patterns. Shown with a Radio bulb. Finish may vary. Currey & Company Lighting Purebred Pendant Known for light fixtures and home furnishings designed with attention to detail and artfully crafted finishes, Currey & Company lighting and furniture hints at styles inspired from European antiques combined with a sophisticated, modern elegance perfect for today's home. The contemporary form of the Purebred Pendant is made of frames finished in satin black and natural abaca skin.